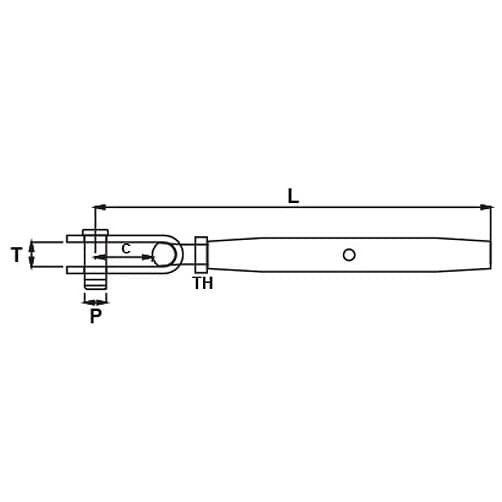 Rigging screw body with threaded toggle at one end, blank at the other end, manufactured from A4-AISI marine grade stainless steel. 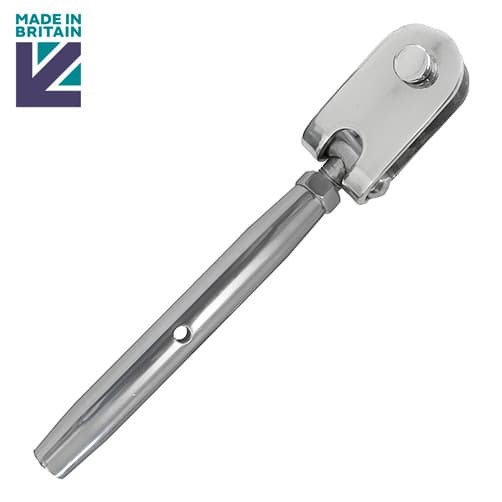 Traditional style toggle to blank turnbuckle manufactured from high quality 316 grade solid stainless steel bar which is then polished to a mirror finish. Generously proportioned toggle straps are designed to take the full wire breaking load on each side of the eye and pin, avoiding premature failure due to transient unbalanced loads. This high quality stainless steel turnbuckle with threaded toggle to blank ends has been engineered and manufactured here in the UK.